MCA Denver is not your traditional art museum. Located in the heart of LoDo, the museum promotes creative expression, risk-taking and experimentation through rotating exhibitions and innovative community events. Its exhibitions feature a broad range of work from regional, national and international artists. Its adult and teen programs are refreshingly thought provoking – and a ton of fun. Plus, they have one of the best rooftop patios in downtown Denver. Happy hour, anyone? 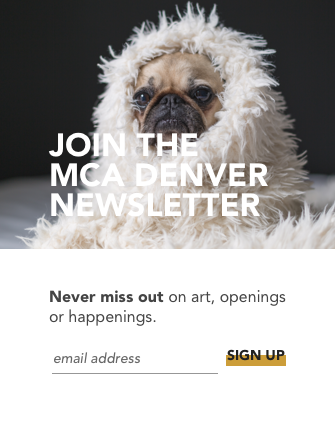 We worked with MCA Denver to create a digital experience that is a direct extension of their unique, vibrant identity as a custodian of creative life in our city. MCA instinctively understood the power of design as a vehicle for driving their brand. They championed design at every step of the way, and gladly sweat the details throughout the process. 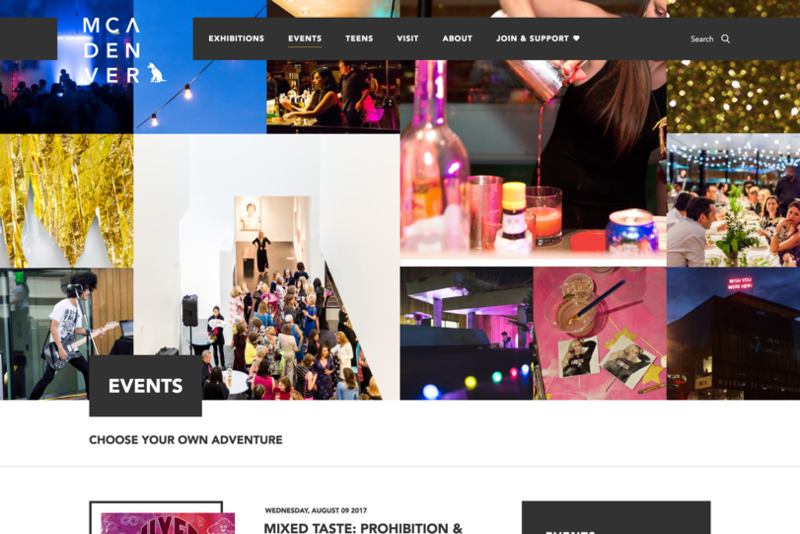 Together, our goal was to create a website that goes beyond talking about the museum, and truly extends the MCA Denver experience directly through your laptop, tablet or phone. MCA Denver needed a website that was on-brand – dynamic, plugged in, even quirky – without sacrificing usability. The experience had to be simple, clear and delightfully intuitive. We mapped navigation and wireframed key screens early in the process, building a skeleton architecture that was simple and open, giving ample room for MCA's vibrant imagery and rich storytelling. From very early in the process we talked about creating an experience that doesn’t just describe the museum, but speaks directly to its audience. Language throughout the website has personality and point of view. We built MCADenver.org on Drupal 8. Combining a modular design system, adaptive content structure and simple page-building functionality, we developed the capability for rich storytelling with the museum’s content. From exhibitions and events to highly configurable landing pages, the platform provides easy-to-use functionality for building screens that are dynamic and uniquely purposed. "It's super fun and really easy!!" said Kelly O'Connell, MCA's Digital Marketing Specialist, reacting to expressive page-building features in the CMS. It's super fun and really easy!! Events are at the heart of MCA Denver. Supporting a workflow for easily creating and managing events and RSVPs was critical. 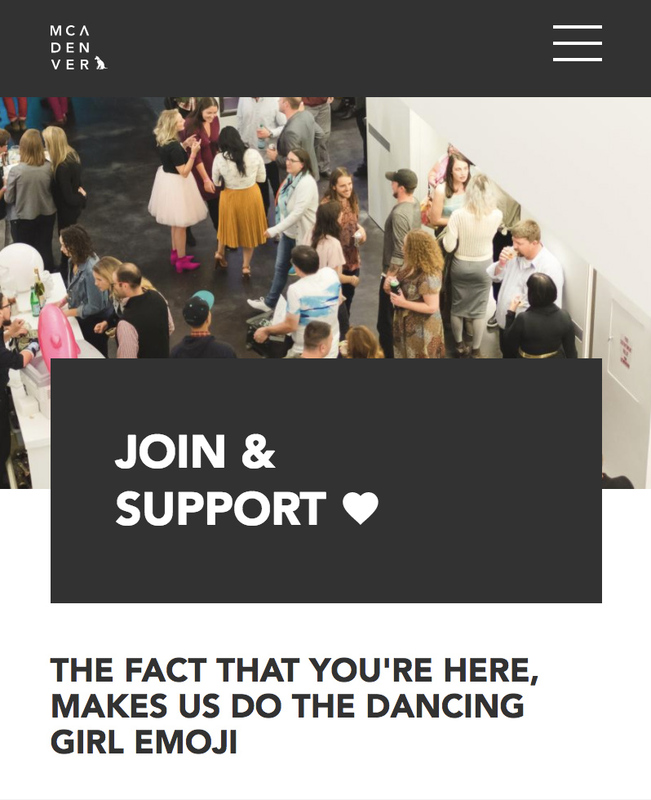 We chose to support MCA's existing Eventbrite workflow by building a seamless integration that just works. 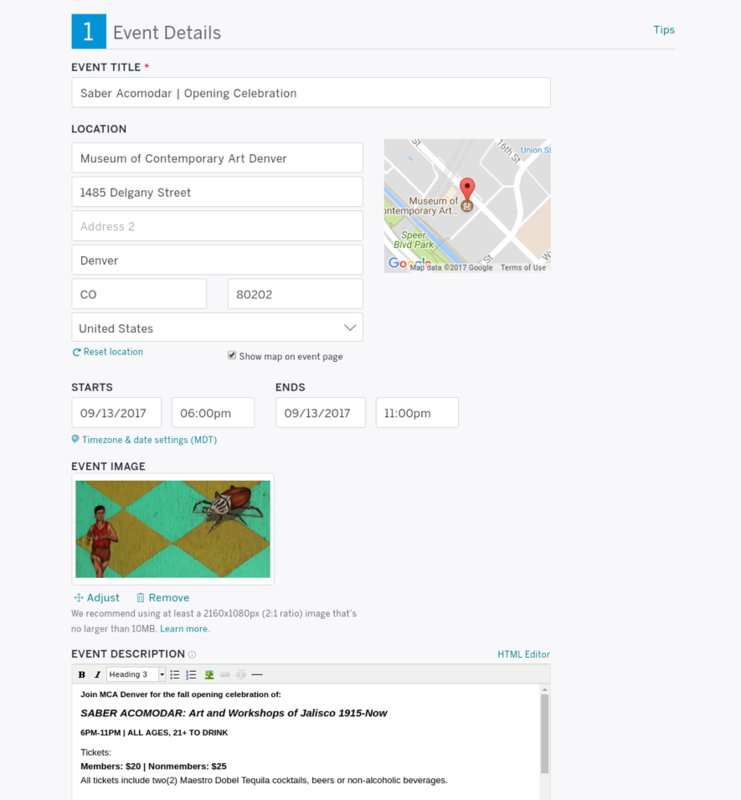 When events are published in Eventbrite, they are automatically queued for import into the MCA website along with links to RSVP or buy tickets. No new systems to learn; no hassle. 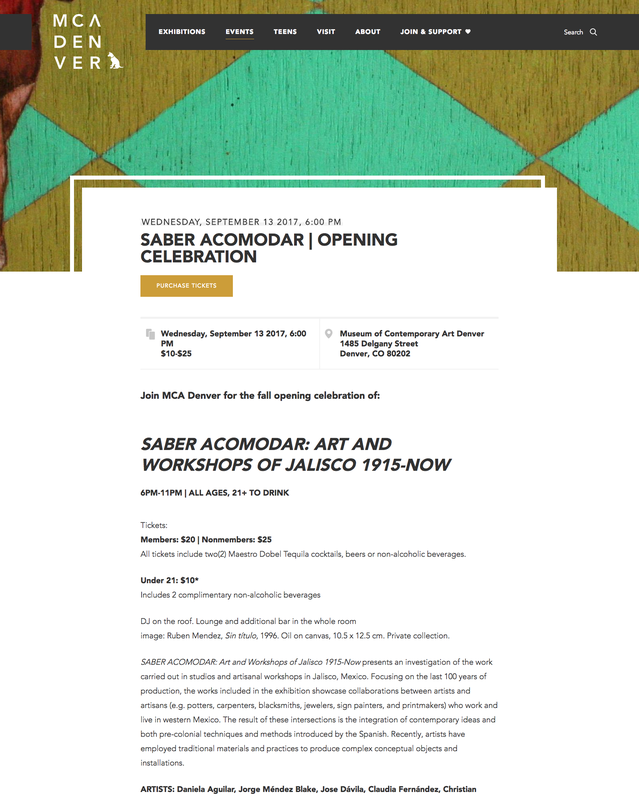 We’re thrilled with the results at mcadenver.org – and the dynamic collaboration that made it happen. Moving forward, the work continues as we prioritize a backlog of new features and enhancements. Stay tuned – it’s going to get even better.